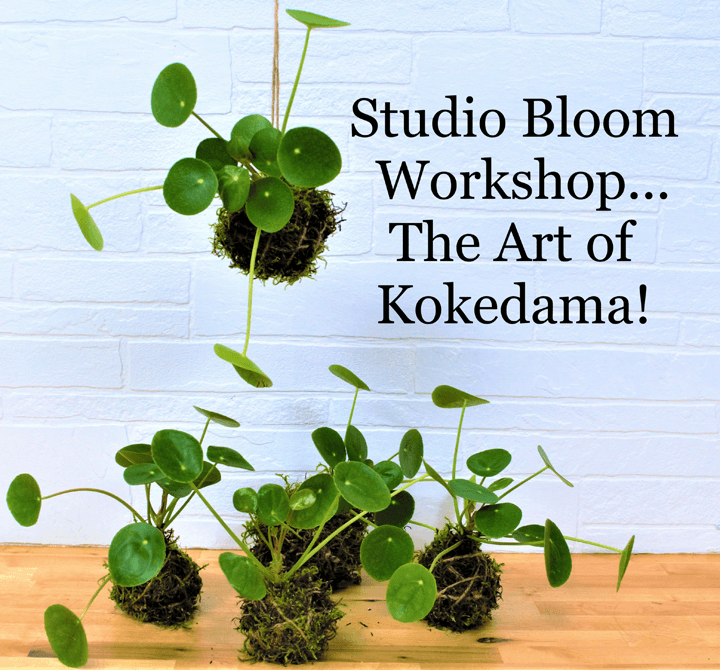 We are so excited to have Studio Bloom hosting four workshop sessions each day at the 2019 Spring Edmonton Woman’s Show, so that you and the ladies can learn the art of Kokedama! Sometimes called the poor man’s bonsai, Kokedama directly translates as “moss ball” from Japanese and it is most often a single plant whose roots are encased in a ball of moss-wrapped soil. Whether you leave it on a shelf, in a pot, or suspend in in the air, these arrangements would make a perfect addition to any home! Elevate your green space and your green thumb April 13th and 14th! Workshop times to be announced soon! *Please Note: There is a $40 fee for each participant to cover the supplies and workshop* Sign up for this workshop will be available at the Spring Woman’s Show. Studio Bloom is an artistic floral design studio located in the vibrant 124 street shopping district in Edmonton, Alberta. The studio is bursting with fresh, seasonal blooms from around the world and gift items made locally – in the ‘hood’! They have a back room dedicated for pop up shops, meeting space or classroom space for workshops.